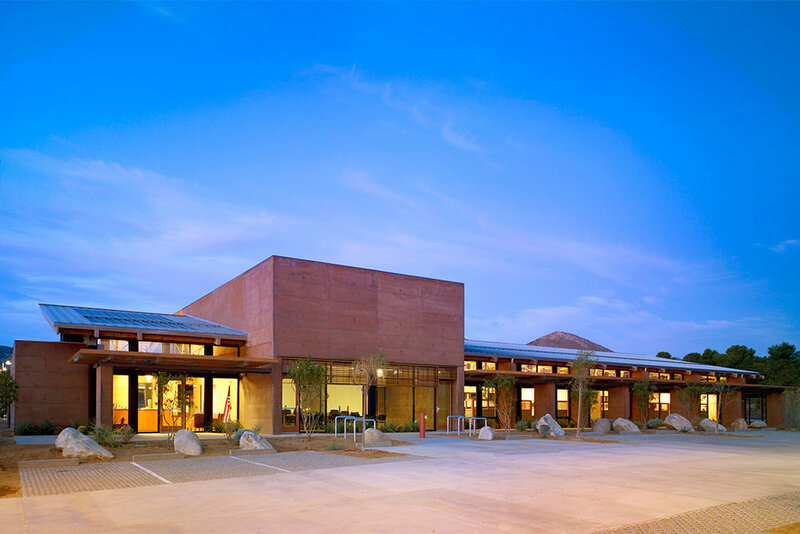 Situated along the Western edge of the Mojave Desert, this LEED Gold certified ranger station provides office and administrative space for the US Forest Service. The project’s dramatic desert context strongly informs the architectural solution, focusing on the blending of building and landscape. As a public agency building, the Ranger Station is designed to host both, staff personnel and visitors, while maintaining security and a sense of openness. The station adapts to its desert climate with a narrow 40-foot floor plate that provides optimal day-lighting and cross-ventilation throughout the space. Deep roof-overhangs shelter the interior from harsh direct sunlight while operable windows permit air circulation through the largely open office areas. The building's long, horizontal orientation mirrors the expansiveness of the surrounding landscape, and natural variations of the earth-toned concrete give the building a distinctive hue and texture, so as to fit comfortably among the mottled reds and browns of the surrounding desert. The materials were selected in response to the combined demands of image, longevity, energy efficiency, structural performance, and livability. 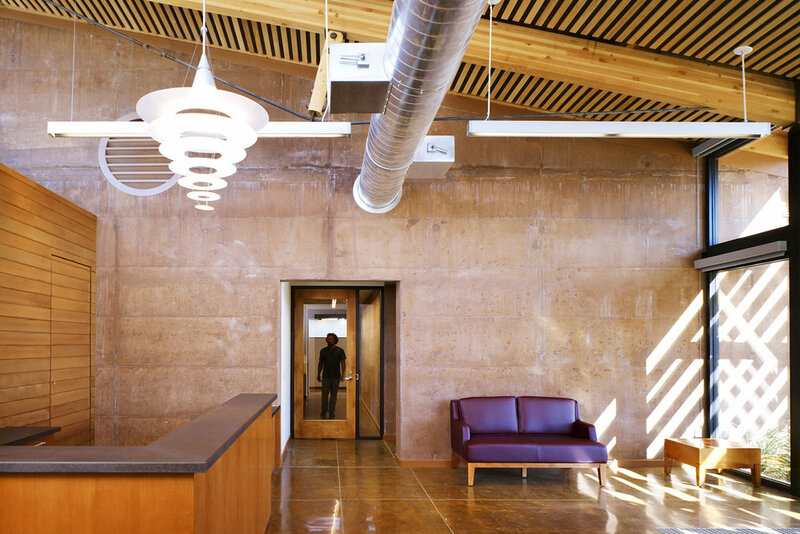 The earth-hued walls invoke traditional desert materials like rammed earth and adobe, but are in-fact high performance concrete made with locally-sourced cement and aggregate. 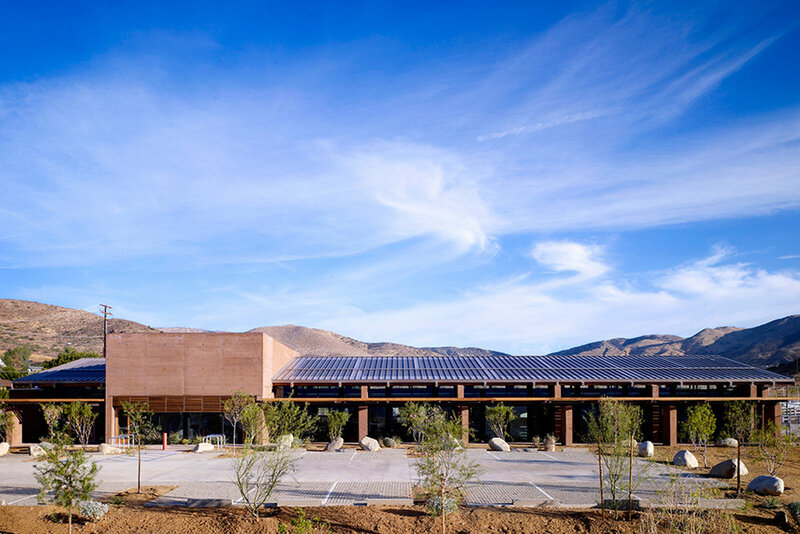 The building’s energy strategies include thin film photo-voltaics on the roof; an insulated envelope with thermally massive concrete wall; cool roof, high performance glass, and perimeter shading to minimize heat gain; a narrow footprint optimized for day-lighting and cross-ventilation; and a geothermal system to precondition water temperature for the building’s heat pump. Sustainable or recycled materials are specified in the project, and the trellises and landscaping throughout the site reduce the heat island effect. The Ranger Station’s context-sensitive design lives up to the Forest Service’s charge that, “facilities should respond to and be aesthetically integrated into their natural, cultural, and experiential settings."